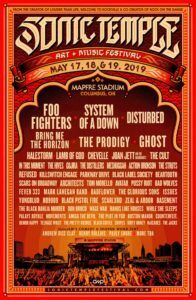 Saturday September 29th during the Louder Than Life Festival in Louisville, KY celebrate Vinnie Paul’s life with a stacked list of musicians and fans. 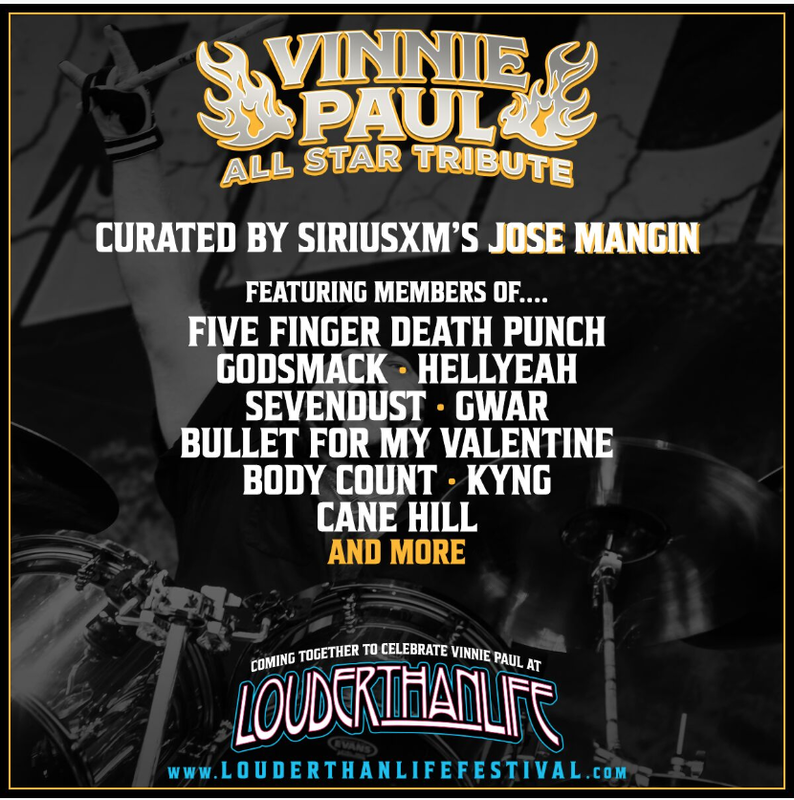 The Vinnie Paul All Star Tribute will feature performances from members of Five Finger Death Punch, Godsmack, Hellyeah, Sevendust, GWAR, Bullet For My Valentine, Body Count, Kyng, Cane Hill. They will be performing songs from Pantera and Damageplan, celebrating the late drummer of those legendary bands. 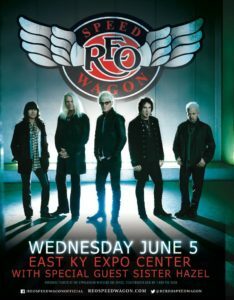 Tickets are still available for the the Saturday show as well as the rest of the weekend. To find tickets for Saturday click here and for the rest of the weekend contact Front Gate. 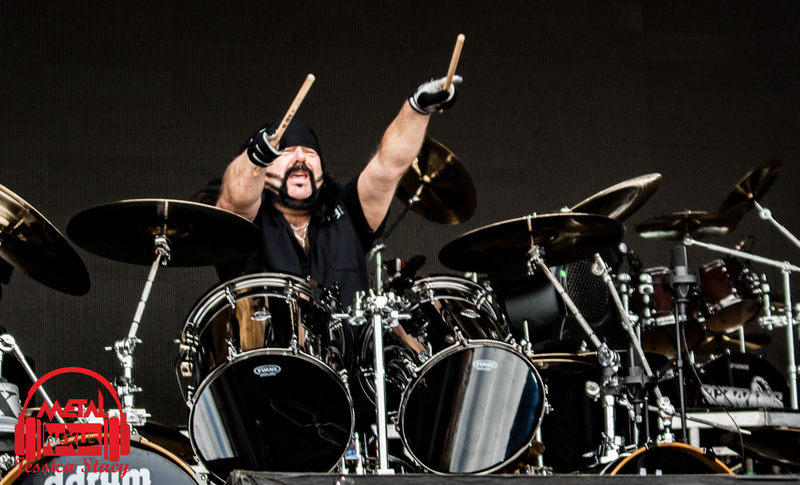 RIP Vinnie Paul. 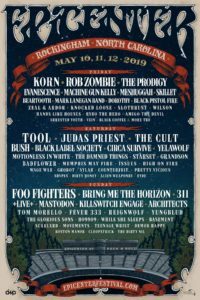 Tagged Body Count, Bullet For My Valentine, Cane Hill, Five Finger Death Punch, Godsmack, Gwar, Hellyeah, Jose Mangin, Kyng, Louder Than Life, Louder Than Life News, Sevendust, Vinnie Paul, Vinnie Paul All Star Tribute. Bookmark the permalink. 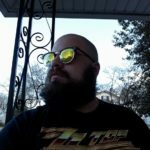 Writer here at Metal Nexus! Keeping the doom fuzzy and the stoner long. Please invite me to your Municipal Waste pizza party. Follow me on twitter @PostermodernPoser for metal, pizza, and Henry Rollins love.